* Creation of resilient and mobile joints which are able to take the rigorous intensity of practice needed for injury free implementation of skill. * Understanding the place of joint preparation in the program. * Learn how to find and target weak links in your desired skill. * Opening and Strengthening of the Shoulder-Back, Basis for Capoeira acrobatic movement. 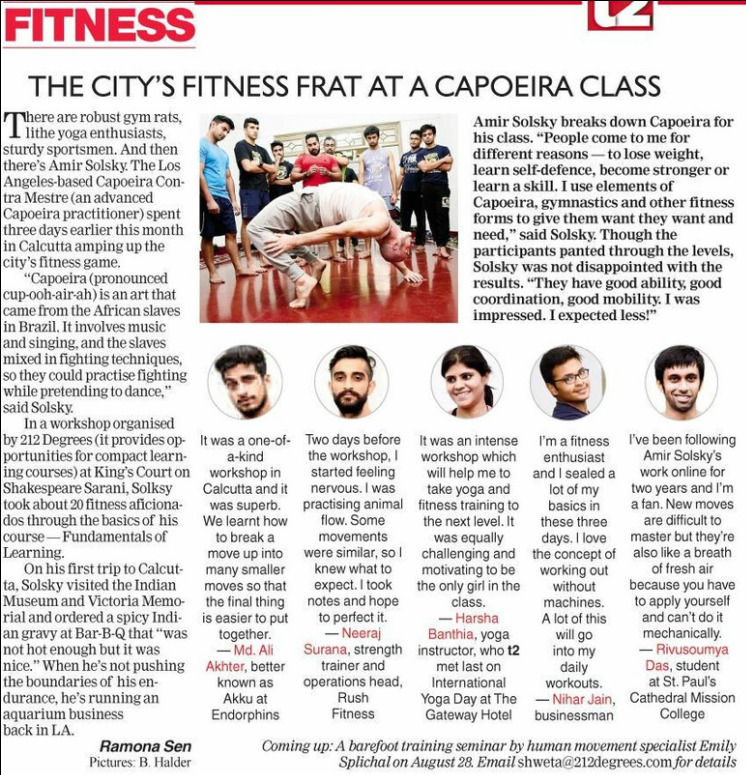 * Understanding the foundations of Capoeira acrobatics. * Learning progressions for Various Acrobatic elements. * Shifting of load and torque manipulation. * Leg Circumventions and pelvic floor transitional patterns. * Learn how to articulate body alignment and build specific strength in Handstands. * Understanding the forces working against our body in various positions, how to counter them, and allow transitions. * Learn how to catch yourself into and out of balance. * Various Straight Arm and Bent Arm balance positions. * Strength routines to build strength and support Hand Balance. * First hour will have more play and will depend on the ability of the practitioners. * Learning to use the Rings for development of Maximal Strength Skills. * Understand how to increase upper body relative strength and active flexibility, and the conversion of that strength base into various athletic fields. 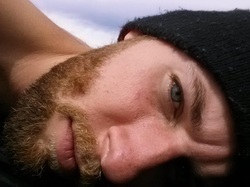 * Exploring further and whatever type of extra work and play that comes up.. The information will be broken down to progressions in a way that will give some time for practice, but also allow a deep understanding of the process that stand between practitioner and the goals, even before achieving them. * Corto Capim and pelvic floor transitional patterns. 5 Days 4 hours each Morning -Total of 20 hours. Thanks again for the great seminar! It was a lot to learn and digest, but I'm certain the information and movements we covered will help me in both my personal and professional practice. You have a very unique approach to training - one which I had never seen before - and the way you focus on MOVEMENT as a whole rather than a collection of various exercises was extremely refreshing. I especially enjoyed how you broke down many of the more complex movements into simple parts and gave us a clear path of progression to achieve the final thing. The information was invaluable and will help simplify the very complex process involved in learning these advanced skills. Learn the Fundamentals of Handstands, proper body alignment for various positions on your hands, and to find balance upside down. This is a class for all levels and will also include various condition assisting drills. Open to everyone for $100 so please reserve your space today by going to www.paypal.com and sending payment to amirsolsky@hotmail.com to get the best deal! 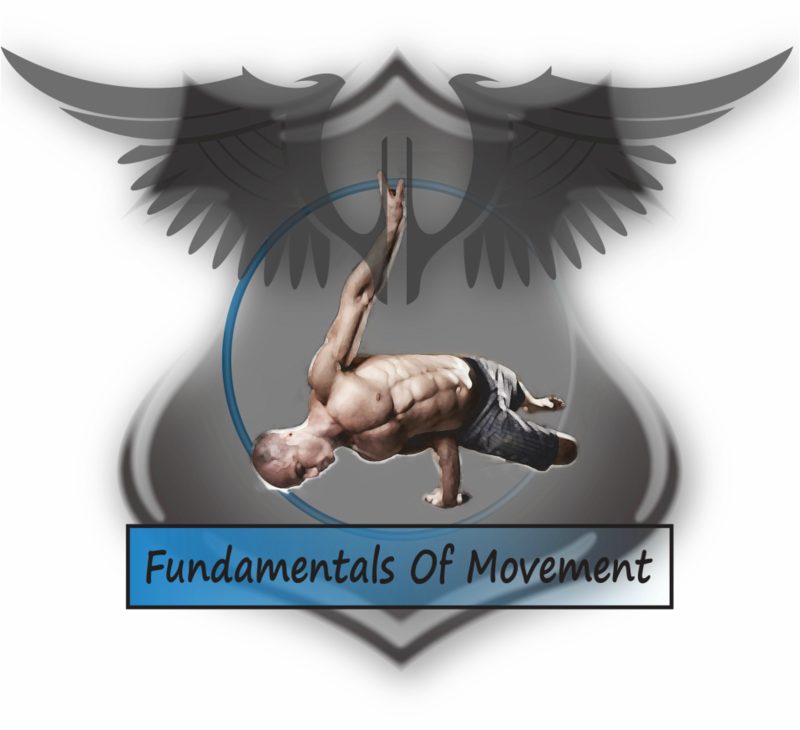 ﻿﻿ ﻿ Fundamentals of movement Seminar March 22nd.- 23rd. Freestyle Acrobatics- We will go over various flips, this Seminar will help you break through the fear of leaving the ground, and teach you to control your body within lack of balance, it covers elements from Gymnastics as well as Martial Art flips, working with Power Moves, and learning how to generate explosive power in various positions. Working with a gradient to fit any level of practitioner. Session one- Sat 22nd. 3:00-5:00pm with open floor till 6:00pm. For sign up contact us via the contact page! Masters of Movement training events are unique training opportunities for people who who are passionate about fitness. Each event is a once in a lifetime chance to learn from leading professionals in various movement disciplines. Experience more in five days than most people will in five years. Join participants from around the world as you explore movement and deepen your personal practice. Don’t miss this chance to train at the Agatsu Masters of Movement Training Week. Space is limited and these events will sell out without notice. Five life changing days that will transform how you move and train forever. This year we will be holding TWO events! Registration for previous attendees will open this week. Public registration will begin shortly afterward. Space for both events is limited. If you want to be a part of a once in a lifetime training event don't wait, REGISTER TODAY.